With black bezel. Do not know if this is historically accurate, but the combination sure looks good..
CAG_1337, OhDark30, wood and 3 others like this. Postie dropped one off just the other day. to keep this guy company. Both are non-hacking "transitional" (?) komandirskies. Last edited by DolleDolf; February 24th, 2013 at 22:04. OhDark30, CAG_1337, GenkiSushi and 4 others like this. A couple of plastic case Komandirskies. 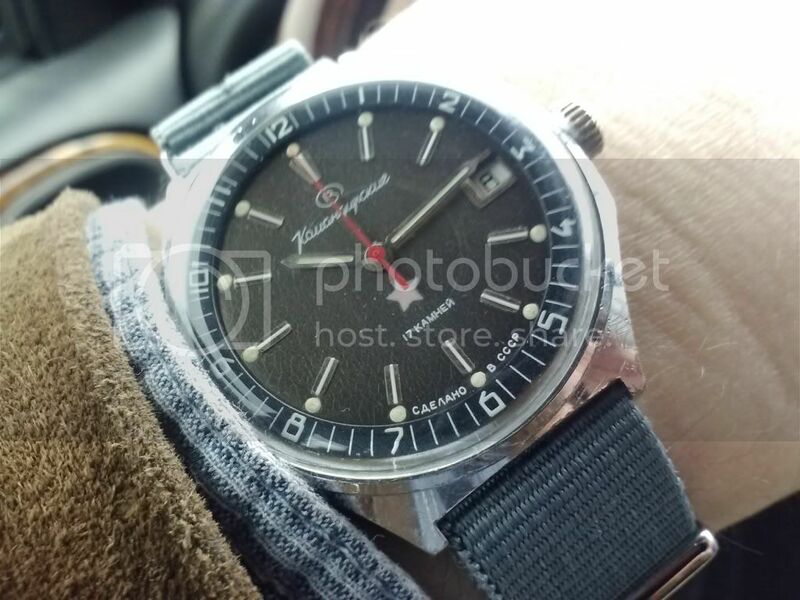 Anyone have any other dial variations for this case? I think I've seen orange instead of yellow for the one on the right, but I could be misremembering. OhDark30 and fcafca like this. Last edited by amil; February 27th, 2013 at 10:40. OhDark30, Negakinu, slowcoach and 2 others like this. 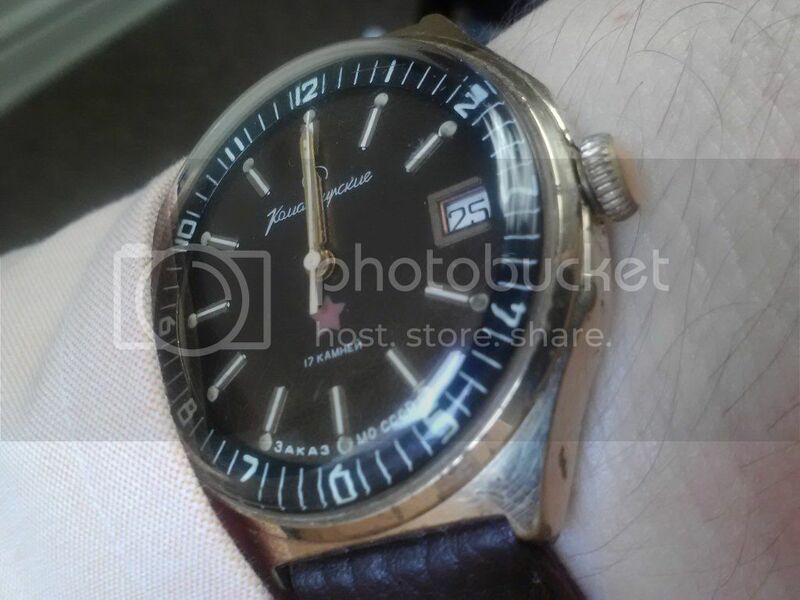 Here is my Vostok Komandirskie 431289. 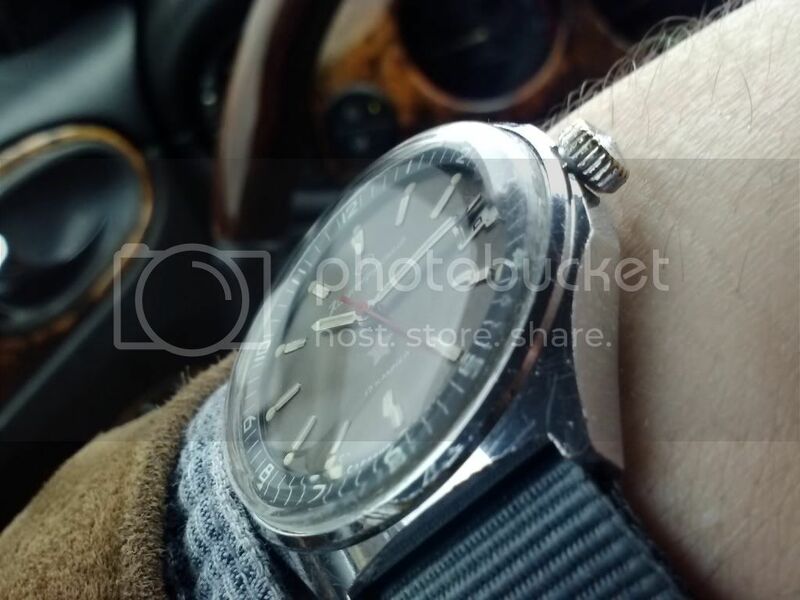 I changed the stock bezel with the one from an Amphibia (they're interchangeble!). Bought the watch + bezel from Meranom a month ago. Excellent service! And replaced the standard band with an orange NATO. Hope you like it! OhDark30 and GenkiSushi like this. My Moldovan Communist Party 10th anniversary Komandirski. Thanks to you guys on here for helping me ID it! This is a Komandirskie too, isn't it? admiralStojakovic, soulbazz, GenkiSushi and 1 others like this. Don't know if it's original as I have never seen one before, but I like it a lot. I just won a bid on ebay but i need to verify whats going on. Says its a amphibian but 100m waterproof? Not a auto. I goofled up, a paratrooper, or a fake. Im gunna start freaking out. Still looks nice but what my kids gunna say? i spend $50. Bargain?